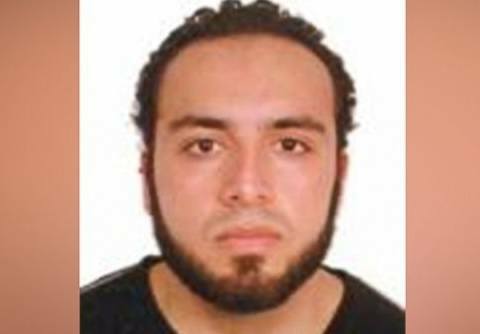 Authorities are searching for Ahmad Khan Rahami in connection with the bombing that took place in Chelsea district in New York City. The FBI released an alert saying Rahami is armed and dangerous. Rahami is US naturalized citizen from Afghanistan. 29 people were injured in a bomb blast on Saturday night. Authorities are searching for a man named Ahmad Khan Rahami in connection with the bombing that took place in the Chelsea area of New York City Saturday night, a source told ABC News. The FBI has released a wanted poster with a photo of Rahami, 28. The address of a home being searched by FBI agents in Elizabeth, New Jersey, is linked to a person with a similar name.